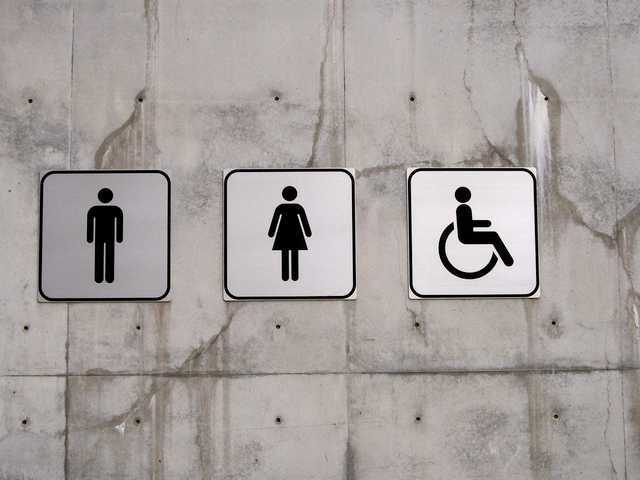 NEW YORK — City council members in New York City voted on Tuesday to require businesses to remove signs reading “men” and “women” outside single-stall restrooms to further the city’s policies on transgender restroom use. The move was passed 47-2 and is expected to be signed by Mayor Bill De Blasio, who signed an executive order in March that allows men who identify as women and vice versa to use city-owned restroom facilities and locker rooms in accordance with their preferred identity. Tuesday’s ordinance applies to restaurants and other businesses throughout the city’s five boroughs, and requires public establishments to replace the gender specific signs with unisex wording by Jan. 1. Business owners could be fined up to $500 for non-compliance. While some have praised the move as “creating a welcoming environment for transgender or gender non-conforming people,” others have found the requirement to be another encroachment by Big Brother. “While most employers would be fine on a gender-neutral approach to their bathrooms, having the City Council add this to dozens of other interventions in the last three years has a cumulative negative impact on the perceived business climate in New York,” Kathryn Wylde, president of the Partnership for New York City, told the Wall Street Journal. In December, the New York City Commission on Human Rights also announced new guidelines under the city’s Human Rights Law that imposes fines on employers who use masculine pronouns for male workers who wish to identify as women and vice versa. De Blasio and the Commission additionally announced earlier this month that they had launched a $265,0000 ad campaign in recognition of “LGBT Pride Month” that touts the city’s policy requiring that citizens be permitted to use the restroom that correlates with their “gender identity.” The print ads and videos are now appearing on subway cars, bus shelters, phone booths, and in newspapers and various social media placements. Tuesday’s ordinance only applies to single-stall restrooms and not multiple-stall facilities.